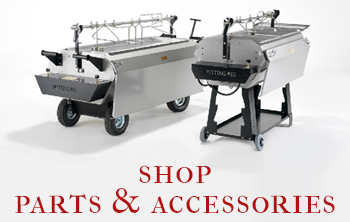 Did you know that our Hog Roast Machines can be used anywhere? With six different types of machines in our range, all with varying special capabilities, we have the tools and skills to make your event a special one, no matter what it may be or where it takes place. This week, the team at Hog Roast Glastonbury were catering for an outdoor barbecue and so they brought the Hogmaster, a machine that truly has it all. Perfect for both Hog Roasting and Spit Roasting, as it has the capabilities to do both, we thought this machine would do perfectly as the host Barry hadn’t yet decided how he wanted the meat to be cooked. The difference between Hog and Spit roasting, is mainly in the cooking method. Whilst both methods are slow cooking methods, Hog Roasting places the Hog on top of a tray to cook, whereas Spit roasting is the art of skewering the pig and turning it throughout. As the weather was cold on the day of Barry’s barbecue, we decided that Hog Roasting would be the best method, as this is the best way of keeping the Hog warmer for longer periods of time, and Barry wanted food to be available for the entirety of the event. There were thirty or so guests who all arrived mid-afternoon. 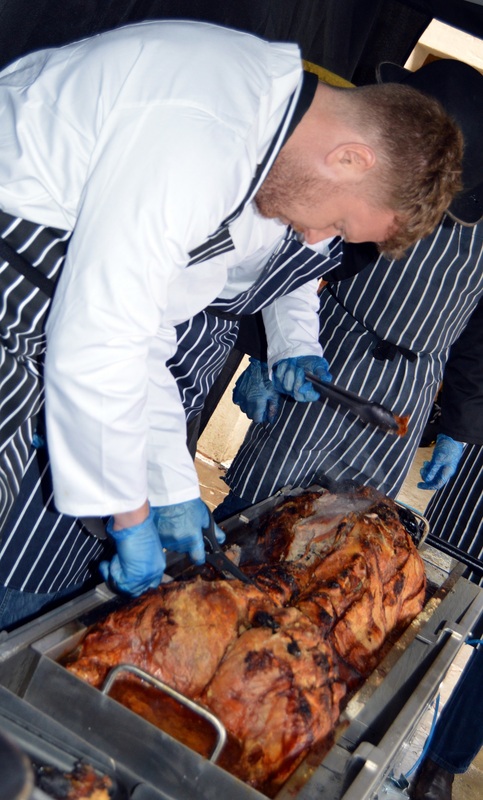 Our team from Hog Roast Glastonbury had been on site since mid-morning in order to start the cooking process, so the food was ready in time for the guests. In addition to the machines, the team also brought along a trusty gazebo, to protect from any potential rain, and serving tables. The Hog was to be served with crusty bread rolls with a selection of sauces – we call this combination, our Pigs in Buns. Barry and his guests were blown away with just how fresh and tasty the food was, and luckily there was plenty to go around, as all of them came up for seconds and even thirds! At the end of the day, when all the guests had full bellies, there was nothing left to do for the team at Hog Roast Glastonbury, but tidy away their mess discreetly and dispose of any waste off site. Remember, our machines are the perfect addition to any event, and our entire range are available for hire or purchase, so you can host your very own, Hog Roast party! Hog Roast Belfast Help at A Charity Event!